Chris is an award winning rugby and tennis correspondent and was named Guinness Rugby Journalist of the Year in 2014. For 22 years Chris uniquely covered both international rugby and Grand Slam tennis for the Evening Standard, becoming chairman of the Rugby Union Writers’ Club and the Lawn Tennis Writers’ Association. He is also a member of the International Tennis Writers Association and was on the media organising committee of the 1995 Rugby World Cup in South Africa. Chris has covered every Rugby World Cup since the inaugural tournament in New Zealand in 1987 and has reported on every British & Irish Lions tour since 1989. His first England international was the win over New Zealand at Twickenham in 1983 – sadly this was not the precursor of decades of success! As an author, his history of Twickenham (The Secret life of Twickenham) was short listed in 2014 for Rugby Book of the Year and he has written books with Lawrence Dallaglio and Simon Shaw, edited the best-selling Daily Telegraph 1991 World Cup Guide and produced the rugby book for the “Tactics of Success” series. Chris has unrivalled experience of writing newspaper columns with high profile sports stars including Jason Robinson, Judy Murray, Jamie Murray, Will Carling, Brian Moore, David Campese, Goran Ivanisevic, Jason Leonard, Damian Hopley, Andy Gomarsall, Richard Hill, Jeremy Guscott, Zinzan Brooke and Justin Marshall. He is an experienced broadcaster and studio guest appearing on Sky News for more than 20 years and is a regular second voice for BBC Radio Five Live tennis coverage and contributes to Radio Sport New Zealand’s coverage on a wide range of issues in the sporting world. Chris has written for every major UK newspaper during more than 30 years of news and sports reporting. He started on the Western Mail in Cardiff before moving in 1983 to Exchange Telegraph(Extel) sports agency in London covering a multitude of sports including rugby, tennis, cycling and three day eventing. After three years at Extel, Chris went freelance working as the Evening Standard’s contracted rugby writer and became their staff rugby and tennis correspondent in 1994 covering both sports at international level for 22 years. While freelancing, Chris wrote extensively for the Sunday Times – covering England’s 1990 rugby tour to Argentina, the first sporting contact since the Falklands War- the Daily Telegraph, Sunday Mirror and News of the World. Besides reporting on every Rugby World Cup since 1987 and British and Irish Lions tours since 1989, Chris has also covered the 2004 Olympic Games in Athens as well as Commonwealth Games competitions. 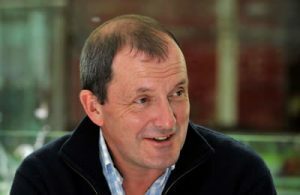 His wide range of sporting experience includes covering international football, the Milk Race round-Britain cycle race, European Three-Day Eventing, international show jumping and one of the first ever women’s rugby matches staged in the UK in 1979. During his career Chris has interviewed numerous high-profile personalities including Prince Albert of Monaco, President Carlos Menem, of Argentina, Richard Branson, Chrysalis chairman Chris Wright, South African World Cup captain Francois Pienaar, Roger Federer, John McEnroe, Martina Navratilova, Andy Murray, Rafael Nadal, Chris Evert, Tim Henman and every England and Lions captain and coach since 1983. Chris writes for sports magazines including Rugby World and for Wimbledon’s official programme, the ATP Tour Finals programme and Twickenham internationals. Chris is an experienced broadcaster having been one of the first regular sports experts used by Sky News and has appeared on screen for various television outlets for more than 20 years. He is skilled at live broadcasts into news and sports programmes and is a regular second voice for BBC Five Live tennis coverage. He also contributes to Radio Sport New Zealand and other radio outlets. Chris has written numerous sports books including “The Secret Life of Twickenham”, which was short listed for the Rugby Book of the Year award in 2014. It is now available in paperback. He has worked with former England captain Lawrence Dallaglio on two books including “Know the Modern Game” and also delivered the rugby book in the series “Tactics of Success” along with Simon Shaw’s autobiography. Chris’s work was featured in “Sporting Spite” and “Sporting Sensations”, books produced in association with the Evening Standard sports-writing team. He also edited the best-selling Daily Telegraph 1991 Rugby World Cup Guide. Alex is a PR and marketing consultant with more than 25 years experience both in-house and with agencies in London and the regions. Alex has worked across a range of sectors, including finance,agriculture, leisure and sport. She has an excellent knowledge and understanding of the media, its requirements, how it works supplemented by a proven record of delivering extensive coverage for clients, including broadcast, online and print. Her proven interpersonal skills – good communication and leadership qualities – saw Alex take charge of a five-strong media-relations team in London and across Europe for JPMorgan Asset Management. Alex has strong planning, organisational and monitoring abilities and has been responsible for large and small budgets. Adaptable, flexible and well-organised, she is currently managing a range of clients with differing business objectives. She is a self-starter and enjoys responsibility and has been self-employed since 2005. 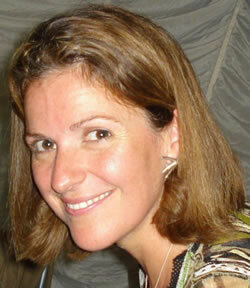 She is skilled at preparing and writing tender-winning documents having secured business for her UK-based client. Alex has developed media and marketing campaigns on pan-European, national and local levels, designed web and other content including newsletters and social media. She is experienced at handling marketing and planning budgets in excess of £1m and has managed, trained and developed team members in several different countries. Alex also had a key role in the delivery of the multi-million-pound Save & Prosper sponsorship of England international rugby union. Alex was selected for a two-year management-trainee programme for JPMorgan Chase and was a member of a global communications team involving onsite work with colleagues in Tokyo, Hong Kong, New York and Paris. She played a key role in advising on corporate issues including the take-over by Chase Manhattan of Robert Fleming and JPMorgan and the resulting integration process. She worked within a team that designed a media database for the JPMorgan Group Worldwide.